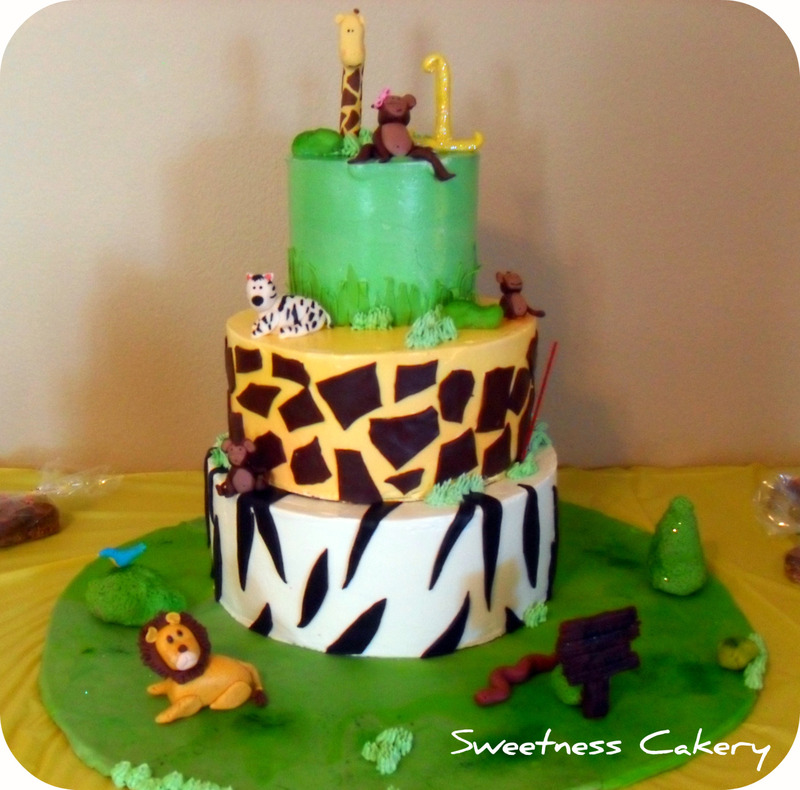 Posted in cakes and tagged first birthday, giraffe, jungle cake, monkey, print, zebra. Bookmark the permalink. 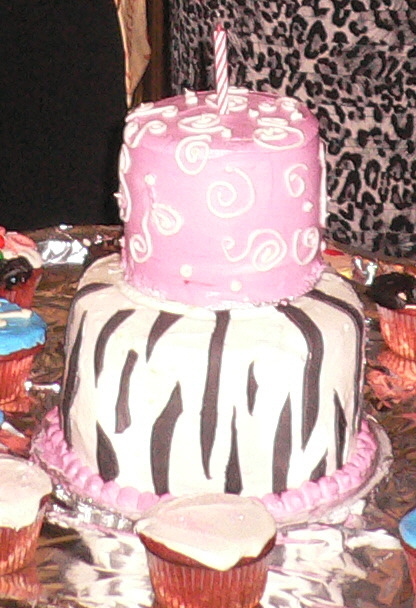 This Sassy Easter cake was made for a very special young lady whose birthday is around easter, but loves zebra print and the 50’s. Miss Bunny is completely edible, but may be held as a keepsake. The cake is Triple Berry and Cream: Four layers of moist vanilla cake soaked in madagascar bourbon vanilla and filled with a compination of strawberries, raspberries, and boysenberries and just enough cream to bring the flavors together wrapped in a fluffy buttercream. It’s Delicous! Posted in cakes and tagged bunny, easter, eggs, poodle skirt, sassy, zebra. Bookmark the permalink. 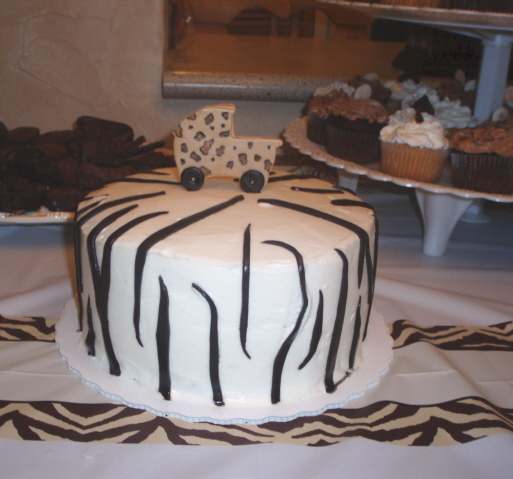 Swirls and fashion forward zebra print adorn this 2 tiered cake. It has a pina colada and cream cheese filling. 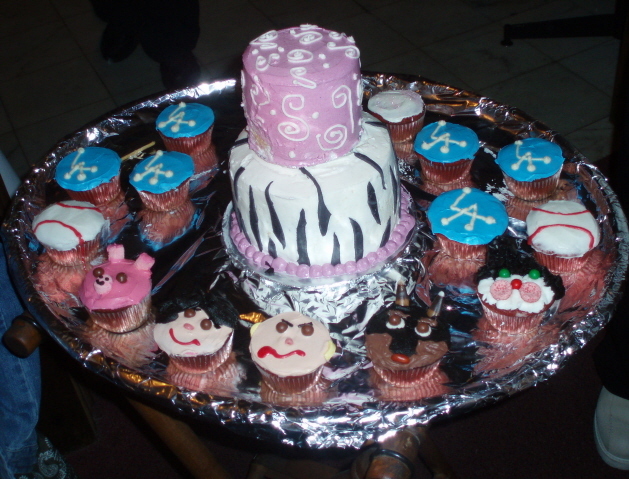 The adorning cupcakes were red velvet. 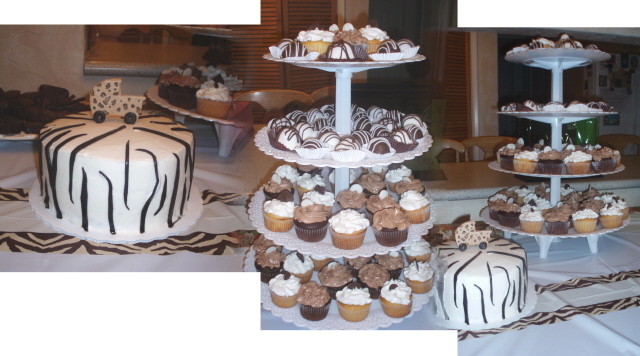 Posted in cakes, cupcakes and tagged cake, cupcakes, red velvet, zebra. Bookmark the permalink.